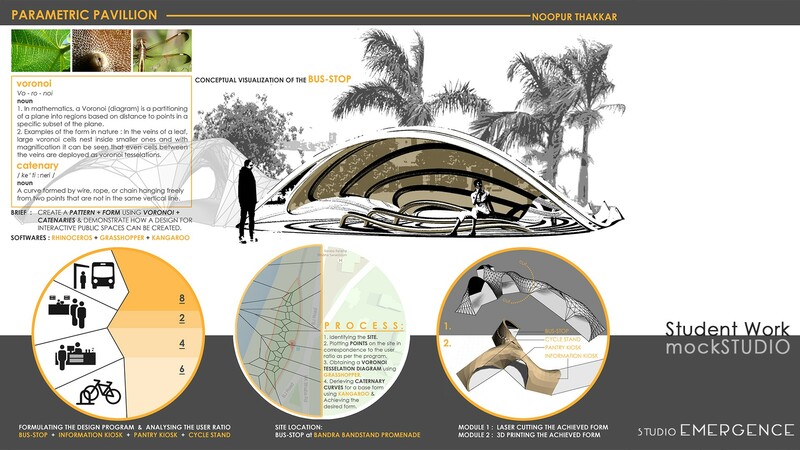 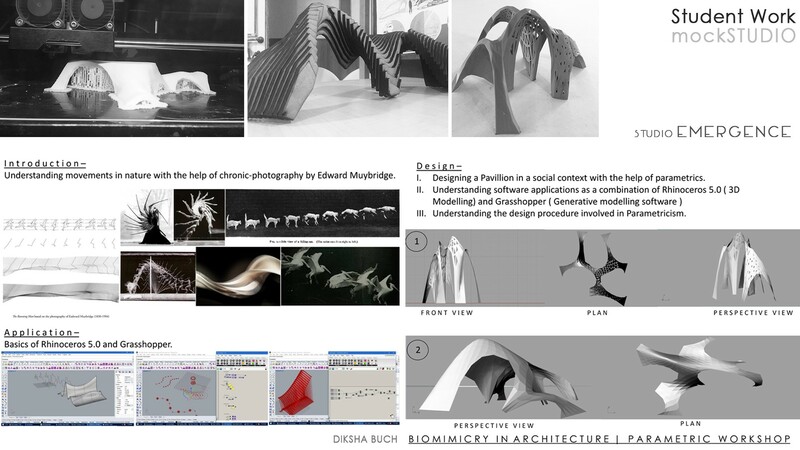 Biomimetic architecture is a contemporary philosophy of architecture that seeks solutions for sustainability in nature, not by replicating the natural forms but by understanding the rules governing those forms. 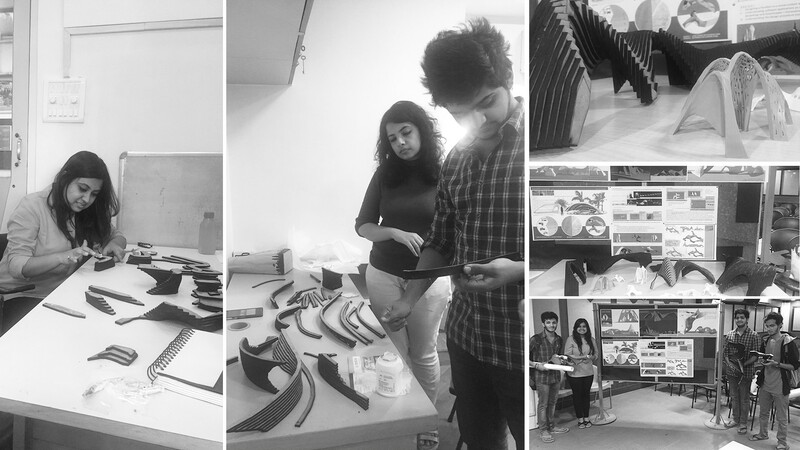 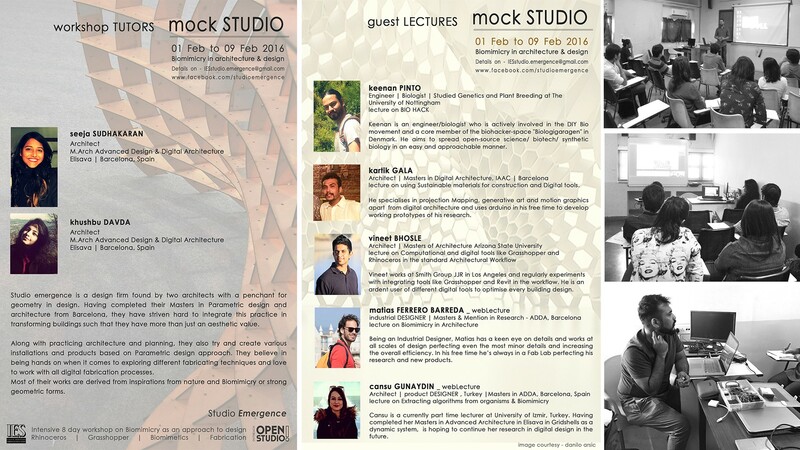 The workshop also included various Guest Lectures and seminars from Architects, Industrial Designers and Biologist from across the globe. 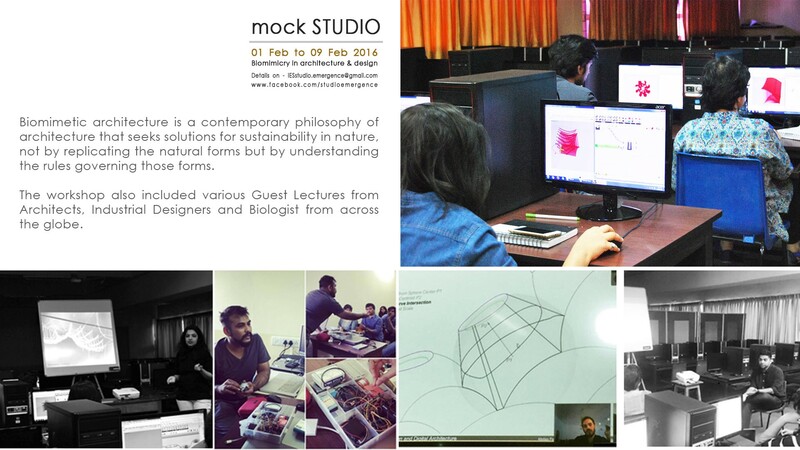 There were also a few web lectures by Architects from Barcelona and Turkey. 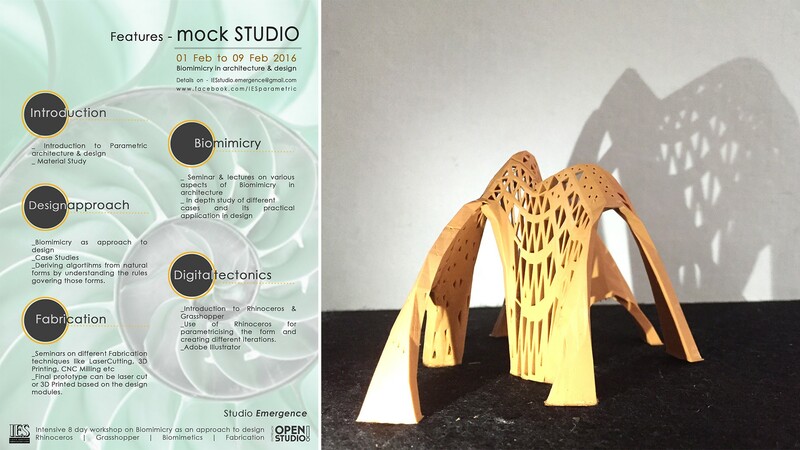 Students worked with software’s like Rhinoceros & Grasshopper and also fabricated 3D printed and laser cut scaled prototypes of their individual Designs.